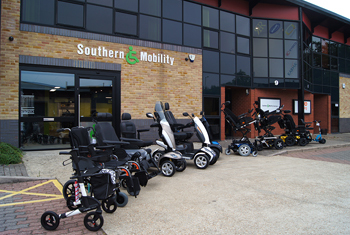 Southern Mobility Services has one of the largest and best stocked mobility showrooms in Basingstoke. Parking is easy and our showroom gives you a great opportunity to see all of our products under one roof. 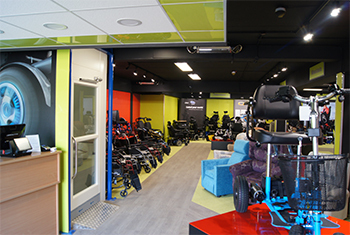 In our specialist mobility showroom we have many well known manufacturers including Kymco, Invacare, Sunrise Medical, Pride and many others. Our team of staff are always on hand to help and demonstrate any products. We are open weekdays from 9.30am to 4pm and Saturdays from 9.30 to 12.30. For a map or directions please visit the contact page.